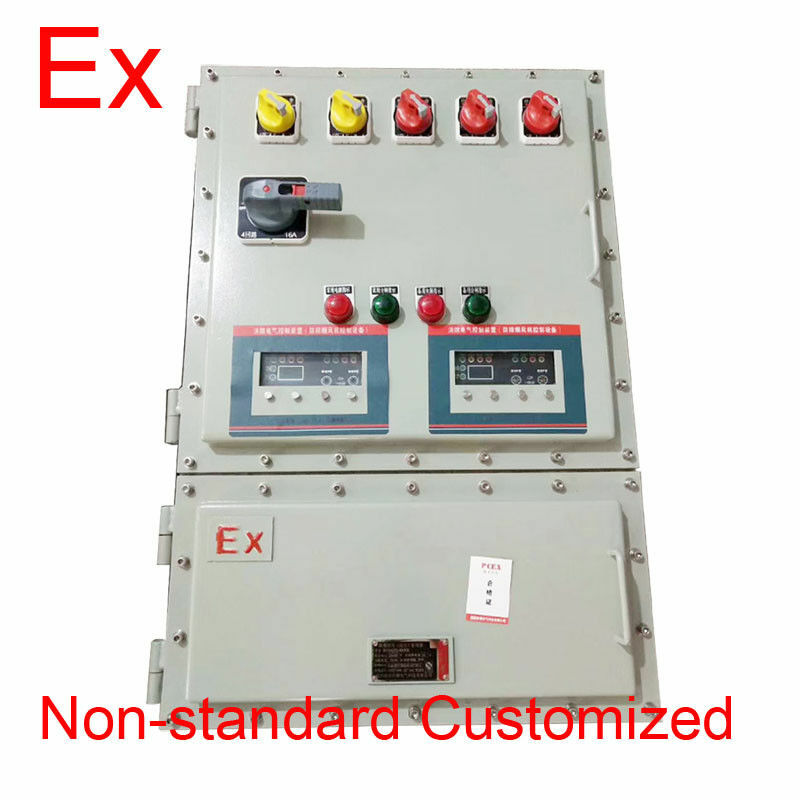 explosion proof starter panel is designed and built to operate in environments where concentrations of flammable gases, vapors, liquids or combustible particles pose risks of ignition and explosion. explosion proof starter panel also prevent interior explosions from spreading outside and posing a threat to life and property. 1. Explosion-proof power distribution box shell is made of ZL102 aluminum alloy die-casting or steel plate welding, surface high-voltage electrostatic spray, with stainless steel exposed fasteners, the product looks beautiful. 2.Can be customized according to customer requirements, such as the installation of surge protector, ammeter, voltmeter, etc., can be equipped with a padlock metal handle. 3.The product has two type of Ex d (llB) and complex(llC ), complex type is consist of Ex e cabinet with explosion-proof components. 4. Steel pipe and cable wing. 1) Q:Can I get your samples first? A : Yes ,samples order is welcome , but we will charge samples cost, Freight should paid by yourself. 2) Q: I would like to ask you if it's possible to have my logo on the product. A:We usually ship by DHL, UPS, FedEx or TNT. It usually takes 4-7 days to arrive. Airline and sea shipping also optional. 4)Q: Do you give any discount ? 5) Q: I haven’t done business with you guys before ,how can I trust your company?